Photographs can expose truths amongst lies, and express emotions that words cannot. Photographs can show us the very best humanity has to offer, and the very worst. The Pulitzer Prize awards the world’s finest photos, and are often awarded to photographers who aren’t afraid to capture the raw realities of everyday life. 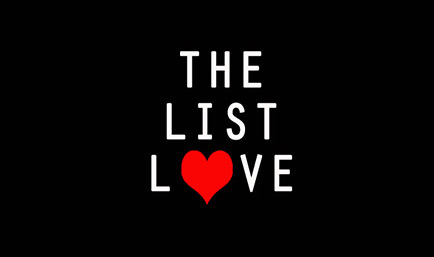 The List Love is therefore offering 10 Pulitzer Prize winning photos and their back stories. Please Note: The following photos include images of violence, which may be upsetting to some readers. Max Desfor is the photographer behind the above photograph, which won the Pulitzer Prize in 1951. 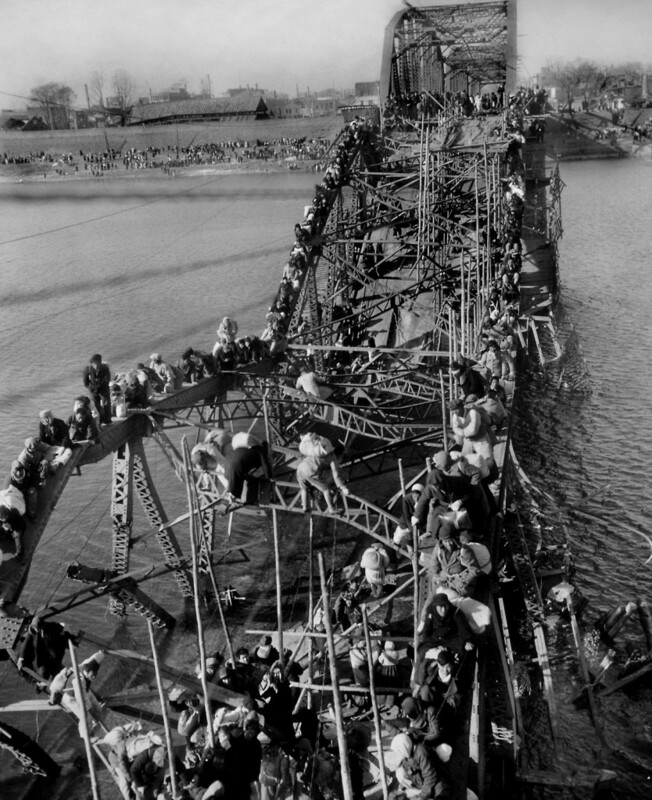 It shows desperate refugees dangerously crawling across a bridge in Pyongyan, North Korea, in attempt to escape approaching Chinese communist troops in 1950. 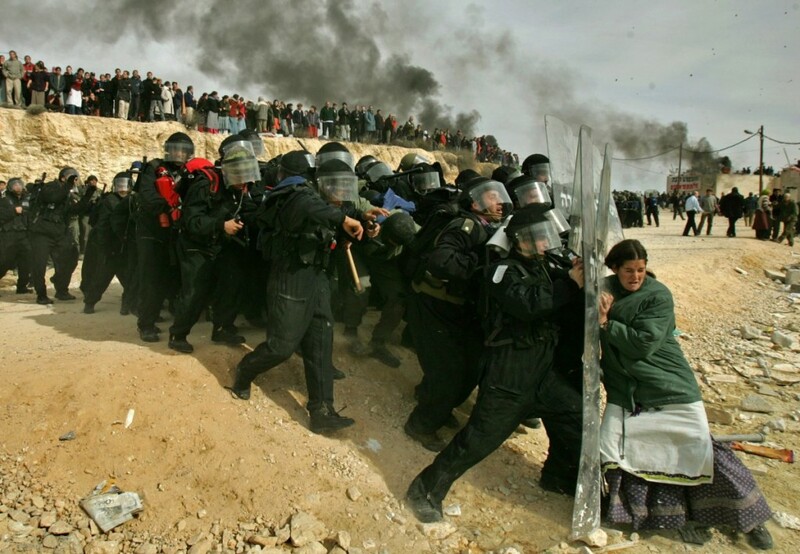 This photograph was taken by Oded Bality and won the Pulitzer Prize in 2007. Here a lone Jewish woman fights off 10,000 Israeli security officers, who were ordered by the Israeli government to forcibly remove a camp of illegal settlers. She was finally pushed over and nearly trampled on. This photograph was taken by Muhammed Muheisen in 2004 and shows an Iraqi man celebrating on top of a burning US Army Humvee in the northern part of Baghdad, Iraq. 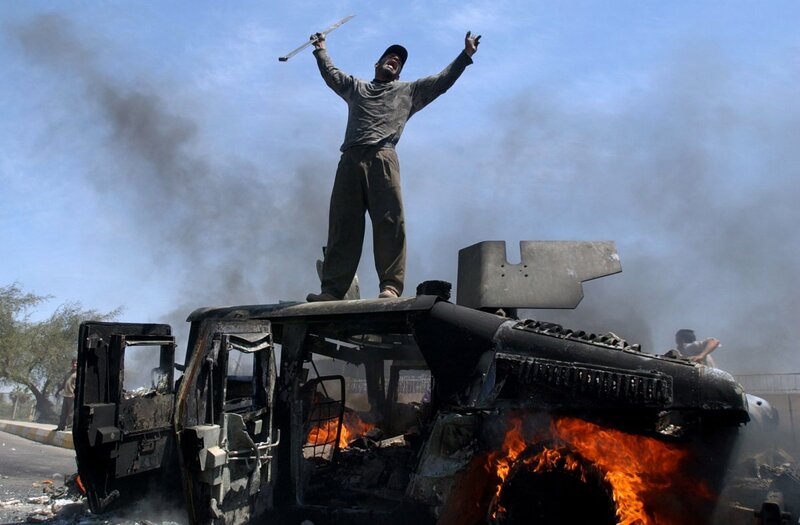 It is one of 20 taken by 11 different photographers that won the Pulitzer Prize in 2005. This distressing photograph was taken in 1976 by Neal Ulevich, who won the Pulitzer Prize in 1977. 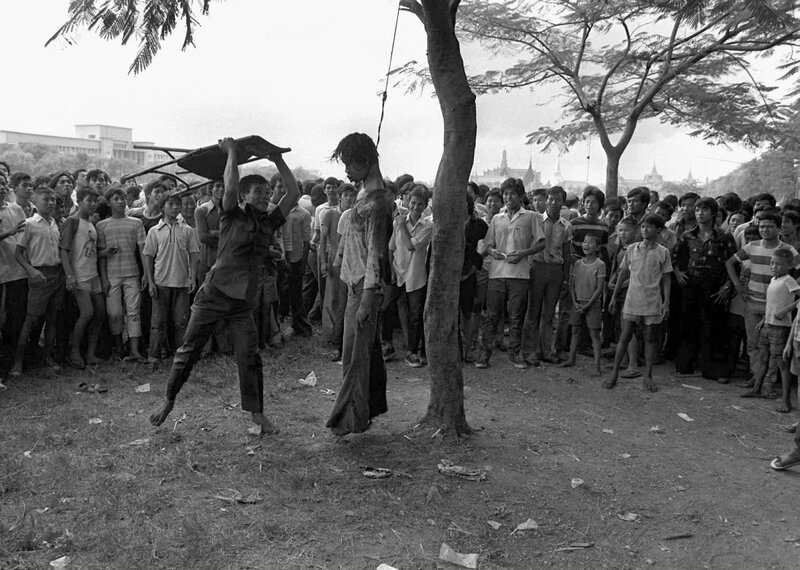 It shows a Thai political faction member coldly hitting the lifeless body of a hanged student. Police attacked students who demanded the expulsion of a former military ruler, and so barricaded themselves inside of Thammasat University in Bangkok. The desegregation of buses was ordered in Boston, Massachusetts, back in 1965. 9 years later in 1974, protests against the reform became a widespread problem in the United States. 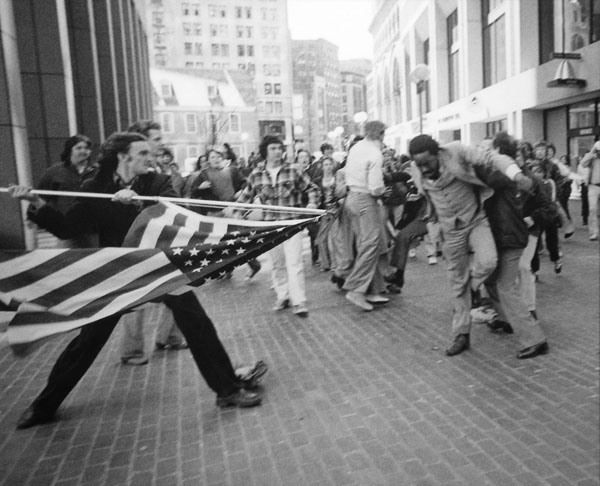 Stanley Forman took this photograph in 1976 of Joseph Rakes, a white teenager, attacking civil rights activist, Theodore Landsmark, with an American flag. 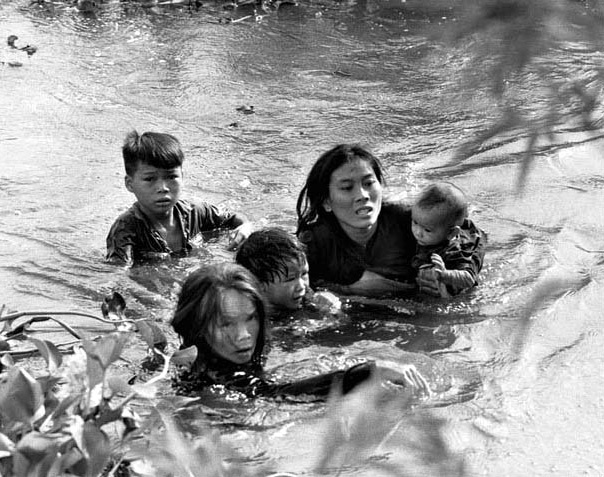 This Pulitzer Prize winning photo from 7th September, 1965, shows a Vietnamese mother and her children attempting to flee across a river during a US bomb raid. Approximately 90,000 Vietnamese civilians were killed in the Vietnam war due to the use of firearms and bombs in crowded civilian sites. 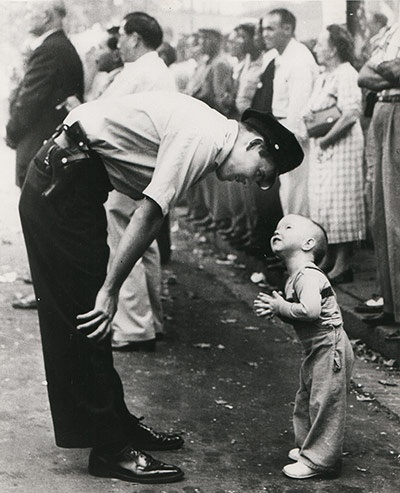 William C. Beall, a photographer for the Washington Daily News, was awarded the Pulitzer Prize in 1958 for this photograph of a policeman reasoning with a two-year-old who attempted to cross the street during a parade. Andrew Lopez won the Pulitzer Prize for a series of four photographs of Jose Rodriguez, a former Batista army corporal, who was executed by a Fidel Castro firing squad. 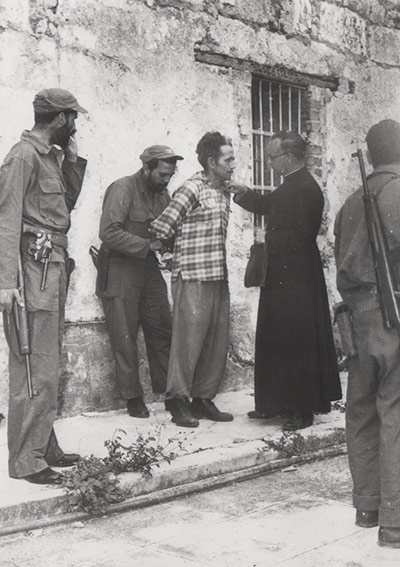 Here a priest performs the last rites of the corporal in Matanzas, Cuba, in 1959. The prosecutor is believed to have ordered Lopez to stop taking pictures and hand over his film, but he refused. 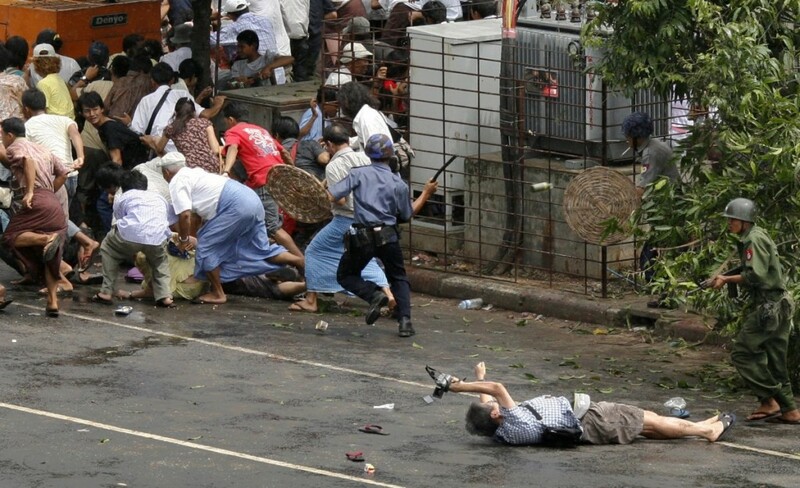 Adrees Latif, a Reuters photographer, won the 2008 Pulitzer Prize for Breaking News Photography for this photograph of the Japanese videographer, Kenji Nagai, who was shot during a governmental crackdown on demonstrators in Myanmar. Even as he lay injured after being shot, Nagai continues filming the violence. He sadly died from his wounds. 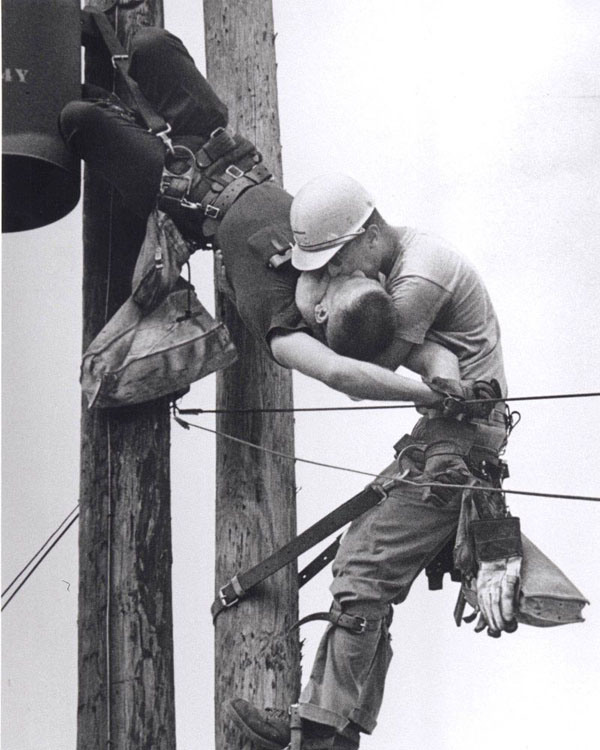 Photographer Rocco Morabito was on his way to photograph a railroad strike when he spotted two Jacksonville Electric Authority linemen high up on piles. He headed off to his assignment, taking eight photographs of the strike, and when he headed back he heard screaming, and spotted a man, Randall Champion, hanging upside down from the piles. The man was saved by his safety belt as he was felled by 4,160 electricity volts. The other lineman, J.D. Thompson, headed up to Randall and began breathing into his mouth, rhythmically pushing air into the man’s lungs. Due to the circumstances, Thompson struggled to perform CPR but continually breathed into his colleague’s lungs until he felt a faint pulse. He then unbuckled Randall’s harness and descended with him on his shoulder. Once on the ground, Thompson and another colleague administered CPR until Champion was revived. Paramedics eventually arrived on the scene, and Randall Champion made a full recovery, thanks to his friend’s quick thinking. The moment would also go down in history, as Rocco Morabito caught it on film and won the Pulitzer Prize in 1967. Take a look at more amazing images from history and check out 10 Photos of People Standing Up to Injustice. If you like what you read, don’t forget to follow The List Love on Facebook and Twitter for more interesting top 10 lists.